Background/Info: Belgian formation Story Off has been set up in 2011 by Geert Vandekerkhof aka DJ Chesko. He gained some name as front man of the gothic formation Der Klinke while he’s also performing together with The Bollock Brothers. 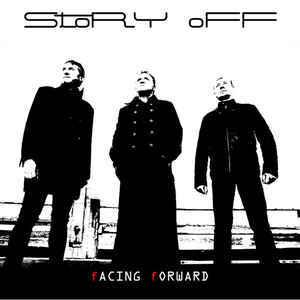 “Facing Forward” is the second album from the band. Next to Geert Vandekerkhof the band has been completed by Marco Varotta and Manu Coulier. Content: The album takes off with a magic piece of dark- & minimal electronics reminding me of The Neon Judgement’s early years. Quite progressively Story Off reveals its true face made of darkness, minimal electro treatments, icy synths, low bass lines and the singer’s cavernous timbre of voice. 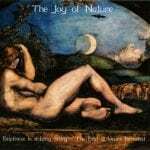 A few songs are featuring female backing vocals injecting an angelic touch to this obscure sonic world. + + + : The title song, which also is the opener of the album, sounds magic and vintage-like, but it first of all is a real highight. The retro-touch running through the songs is cool and I especially like the minimalism of the songs and great synth leads. The cavernous vocals of Vandekerkhof are totally matching with the cold atmospheres, but I also like the female backing vocals for the diversity they add. “Facing Forward” is definitely old-school like, but it’s not a copy and that’s especially what I appreciate on this work. – – – : Taking off with the title song is a choice, but you’ve to realize it’s the absolute highlight so the songs coming next are never reaching a similar level. That’s just a little bit disappointing, but globally speaking you don’t hear me complaining. Conclusion: If you don’t know yet Story Off and you’re into dark-vintage electronics, this is a band to discover. The album is not groundbreaking, but really enjoyable. Best songs: “Facing Forward”, “Life On Other Planets”, “Humanoid”. 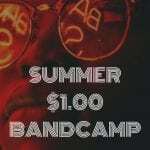 ArtOfFact launches mega deal on Bandcamp (1$ releases) - here's what you can expect!